Sony VAIO and late night again, no more Japan pics again. And so the first official Sony S15 review has come out! Not from one of my favorite websites, CNET seems to have a tendency to really really dumb down its reviews for the general masses. This is fine for mass consumption, and quite typical for consumer electronics magazines and media, but it leaves a lot to be desired for enthusiasts. For instance, although the review talks about the good screen, it fails to mention that the IPS screen on the Sony is ridiculously rare to have right now and is a huge advantage compared to most laptops. Oh well. Good overall review and pretty much what I was expecting. I am so giddy about this darn thing. Image from CNET, showing the awesome keyboard layout (still wish there were media buttons though, which it should have, considering that the F series was folded into the 15 inch S series and was the media laptop for Sony). I just can’t get over the numeric pad! I can’t wait to have one. I went to Memory Express with W today and handled the 15 inch Samsung Series 9. As expected, it felt like a solid piece of kit a lot more solid than the Sony, and more akin to a unibody Mac), but the design is just not for me at all. I hate the navy blue metal and the keyboard. Can’t wait for the VAIO. I am obsessed. Realized that all the money I saved from not buying the Macbook Pro Retina left me enough cash in my benefits to cover a Nikon 17-55 F2.8 lens! 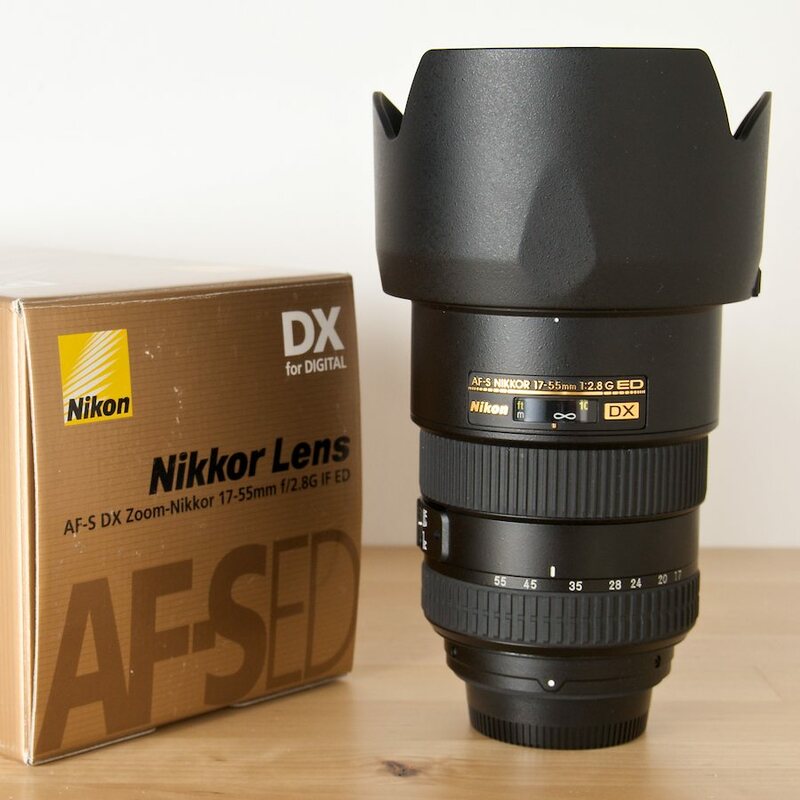 This is the lens I was chasing all over Asia, that is the perfect fit for what I shoot. I am pretty pumped about this. Image from Nikonians. I will see if I actually do it. The laptop I need, but the lens? Its a want for sure, not a need. I would love to see if Nikon updates the P series with a large sensor to combat the Canon G1X, but I am skeptical and will keep my hopes low. Should be refreshed around September though so that should be a pretty exciting time. I did really enjoy handling the 17-55 on the D7000 body in Memory Express today and would definitely love to shoot with it. Had the Kabuki sushi combo over here. Food was alright, nothing stunning to me. I think after Japan, miso soup just isn’t as good as it is in the homeland. Went to dinner at Kabuki for the first time. Dinner was ok, prices a bit high but food was alright. The service was ridiculous though. Not that they weren’t nice or anything but after serving us, they dropped off the face of the planet and I saw the hostess on her phone the majority of the time. Meh on this one. And I had katsudon. And in with the times, I didn’t think it was spectacular or bad. Just ok. Another meh. But on an interesting note, we went to Value Villiage for kicks and I found a huge stack of Stephen King novels which was awesome. The sticky residue on some of them wasn’t awesome. Also wasn’t awesome was that they don’t arrange their books by any order, so it was really really random and I gave up trying to find any used gems. Previous Post Japan, Taipan and omg I have so much to do.